With votes from more than 90 percent of polling stations counted, Kenyatta has 54.4 percent support, while his main rival Raila Odinga has 44.7 percent, according to the Independent Electoral & Boundaries Commission’s website. Odinga called the results “a complete fraud” and said his alliance’s figures show he’s leading the vote, claims the alliance said it will investigate. “I cannot say whether or not the system has been hacked,” IEBC Chairman Wafula Chebukati said at a briefing in the capital, Nairobi. The commission is investigating the claims, he said, as he stressed that the results it’s published so far are unofficial. Odinga and Kenyatta are vying to lead a country that ranks among the five biggest economies in sub-Saharan Africa, is the world’s largest exporter of black tea, and is a regional hub for companies including Google Inc. and Coca-Cola Co. The opposition leader’s statement raises the prospect of him challenging the final outcome of the vote — as he’s done in the past two elections. Election-related violence has been commonplace in Kenya since it became a multiparty democracy in 1991. The worst turmoil occurred in the wake of a disputed 2007 vote, which Odinga lost to Mwai Kibaki, when two months of ethnic fighting left at least 1,100 people dead and forced 350,000 more to flee their homes. Economic growth slowed to 1.7 percent in 2008 from 7.1 percent a year earlier. 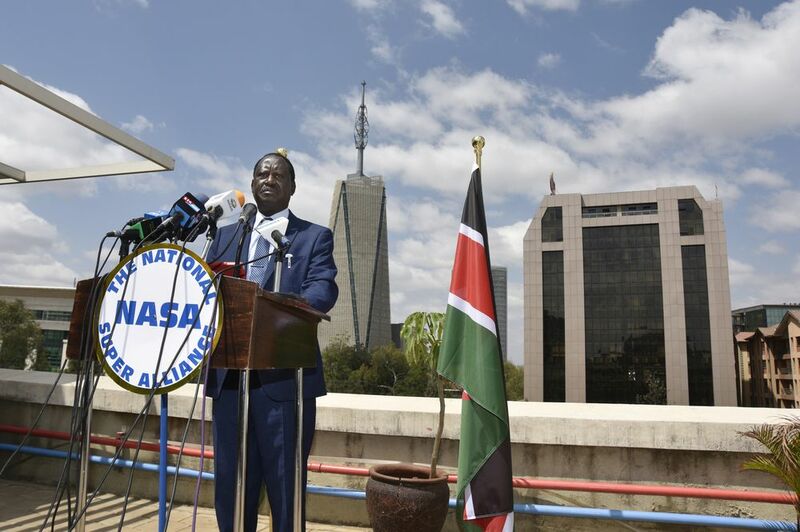 “I don’t control the people, but I’ve asked them to remain calm,” Odinga told reporters in Nairobi, the capital, on Wednesday. Interior Minister Fred Matiang’i said there have been no major incidents since the election, while the security forces are on standby to maintain law and order. Kenya’s shilling reversed earlier gains after the opposition’s hacking claims. It traded little changed at 103.96 per dollar by 1:07 p.m. in Nairobi. The yield on Kenya’s $2 billion Eurobond due 2024 fell 11 basis points to 6.37 percent. The electoral commission said it plans to review voting documentation as it verifies the preliminary results, and expects to declare the outcome within the next five days. Kenyatta’s Jubilee Party called for calm and said the provisional elections were an accurate reflection of the outcome, showing it had won over many voters. Economic growth has averaged 5.7 percent since he took office in 2013. Posted by Above Whispers on August 9, 2017.